Homeschooling comes with it’s fair share of challenges – of course there are blessings too. I didn’t know quite what to expect when we began our journey but I wish someone had given me a little heads up on a few of these. You don’t get a janitor – that job goes to you! I think I had this picture in my head of how my school days would flow with my kids. We would sit at a cute little table with boxes of crayons and I would read to them for hours while they drew beautiful pictures. Then we would do amazing science experiments and dress up as characters throughout history while we acted out our lessons. My children would be wonderful, brilliant, sweet, funny, and loving to me and to each other – all. the. time. So, that hasn’t quite been our experience. Our adventure has been exciting and interesting, if at times, very challenging. However, I still think our journey has been a road worth taking. So, did the list scare you? Don’t worry. There are just as many blessings from the homeschool experience. Come back tomorrow for Part 2 of my list! All those and more, Lexi! 😉 Can't wait to read part 2! I love this! If only we knew then… This is great!! This is worth coming back to over and over again. Thank you for sharing. I'll be reposting! Thanks! 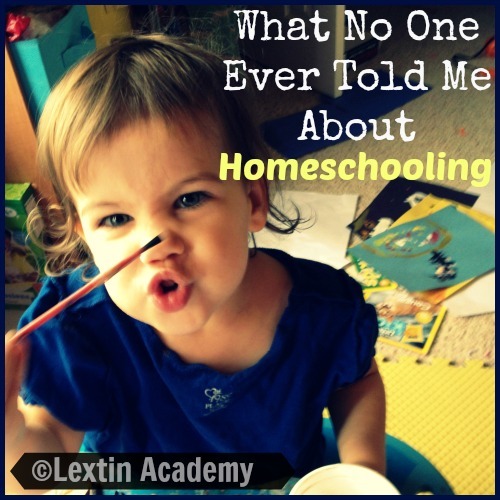 I guess I envisioned a somewhat different homeschooling experience…..not that I would change what I now have but it would have been nice to have a little reality check at the beginning!